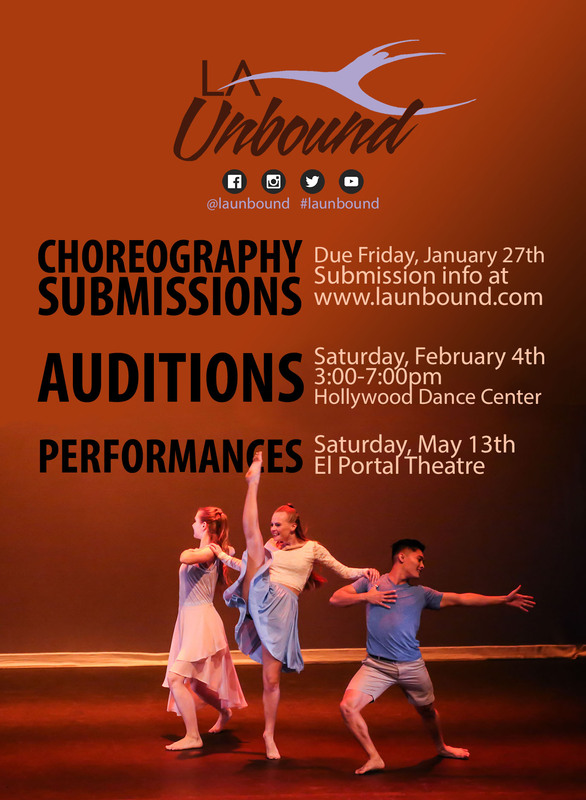 Los Angeles-based dance company LA Unbound is seeking dancers ages 18+ in all styles (especially contemporary, hip-hop, ballet, jazz, and tap). Any dance shoes you own: ballet shoes, tap shoes, pointe shoes, sneakers for hip hop, etc. Please wear comfortable dance clothes you can move in. I’m interested in performing a dancing position .